Indian Air Force C-17 Globemaster. NEW DELHI (PTI): The Indian Air Force is "very much alive" to emerging threats that could arise in the Indo Pacific region, Air Chief Marshal B S Dhanoa said Sunday, and asserted that his force was prepared to deal with any challenge to protect India's national interests. He also said there is a cause for concern over the rate of modernisation and induction of new equipment in India's neighbourhood, even as India faces challenges emanating from "unresolved territorial disputes" and "sponsored" non-state and transnational actors. But the IAF is capable of, and is moving ahead, for countering them effectively, he told PTI in an interview. "The IAF is well equipped to take on threats which occur from across the border, be it in the realm of sub-conventional or other domains," the Air Chief Marshal said. A rising China has been massively increasing its overall air power by acquiring a range of fighter jets including H-6K strategic bombers and next-generation stealth fighters such as J-10 and J-20s, besides enhancing infrastructure for its air force in mountainous TAR. Asked whether the IAF was capable of playing a role to expand India's geo-political influence in the Indo-Pacific region, he replied in the affirmative and talked about IAF's capabilities including having the second-largest fleet of C-17s. "We have the second-largest fleet of C-17s in the world. Therefore, India will pull its heft in helping out friendly nations in times of human distress and humanitarian relief. In addition, the IAF is very much alive to the emerging threats that could arise in the Indo Pacific region," he said. 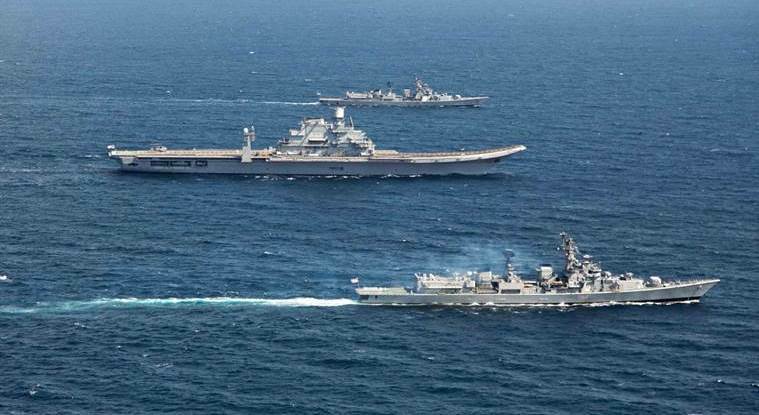 The US has been pushing for a greater role for India in the Indo-Pacific which is seen by many countries as an effort to contain China's growing clout in the strategic region. On IAF's ambitious modernisation plan, the Chief of Air Staff said augmenting the fighter squadron strength was his priority. He said there was significant progress in enhancing IAF's air defence (AD) capabilities with the induction of new radars and surface to air guided weapon (SAGW) systems. "The induction of Long Range Surface to Air Missile (LRSAM), Medium Range Surface to Air Missile (MRSAM), Digitisation of Pechora, Very Short Range Air Defence System (VSHORADS) and Close In Weapon System (CIWS) will provide layered AD capability," the IAF chief said.